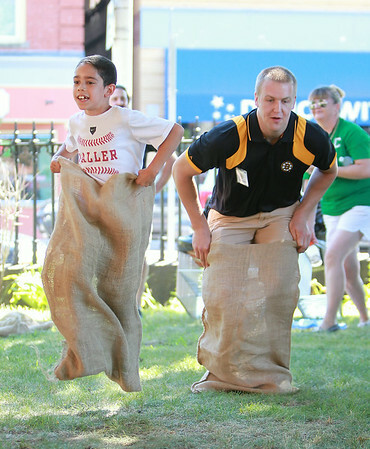 Seven-year-old Nathan Allder, left, races Boston Bruins prospect Alex Globke, right, in a sack race on Friday afternoon at the Peabody Institute Library. DAVID LE/Staff photo. 7/11/14.